My first medallion quilt is complete, and I think it is my new favorite quilt! Although the top has been done for weeks, I needed a block of hours to quilt it. Yesterday, I lost sleep at 4 am. Huhmm... the house is quiet, my brain is already running at 400 mpg... I might as well tackle it! 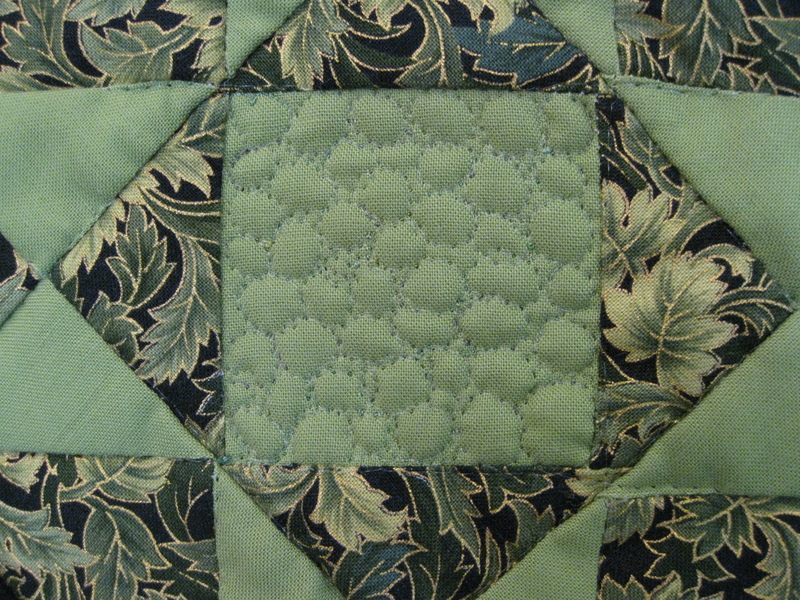 First, I quilted in the ditch using the walking foot, monofilament (polyester) on top and green thread in the bobbin. 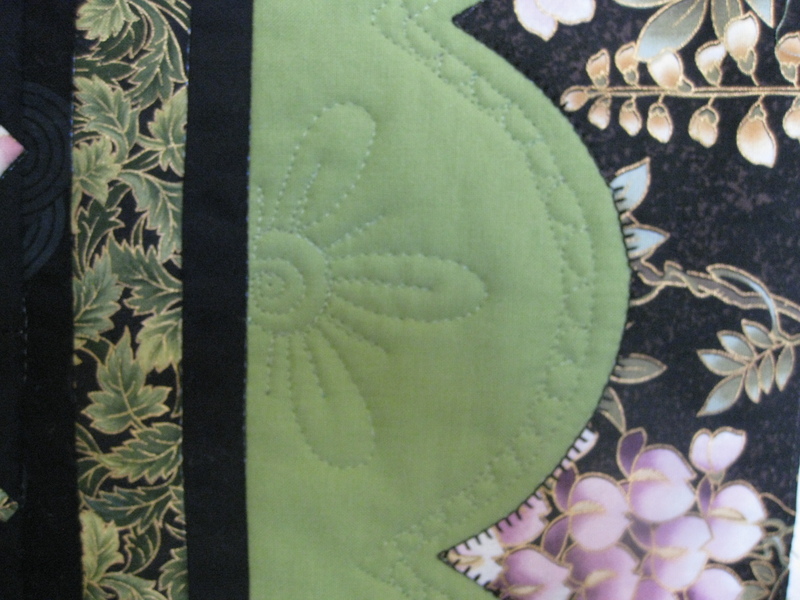 Then, I ventured echo quilting around the scalloped border. 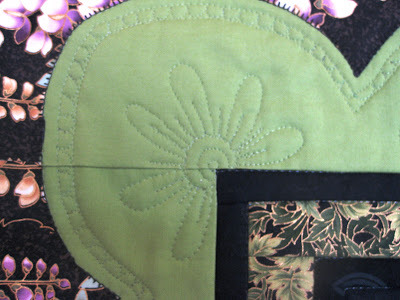 However, I stopped after two rows. I decided to add flowers, so I switched to the quilting foot (Bernina # 29), and started to doodle. I did not mark anything, just went for it. 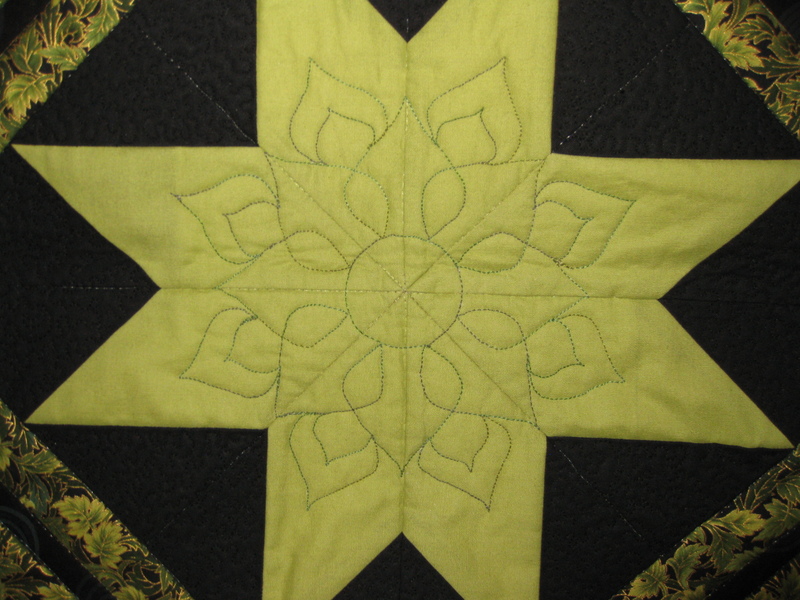 I turned my attention to the middle of the quilt, quilting pebbles in the green squares (below). That is when I had the idea to add pebbles in the middle of the second echo row around the scallops. I liked the result, as you can see above. ... and a motif in the star. Yeah! I really like it, although my pictures don't make it justice... 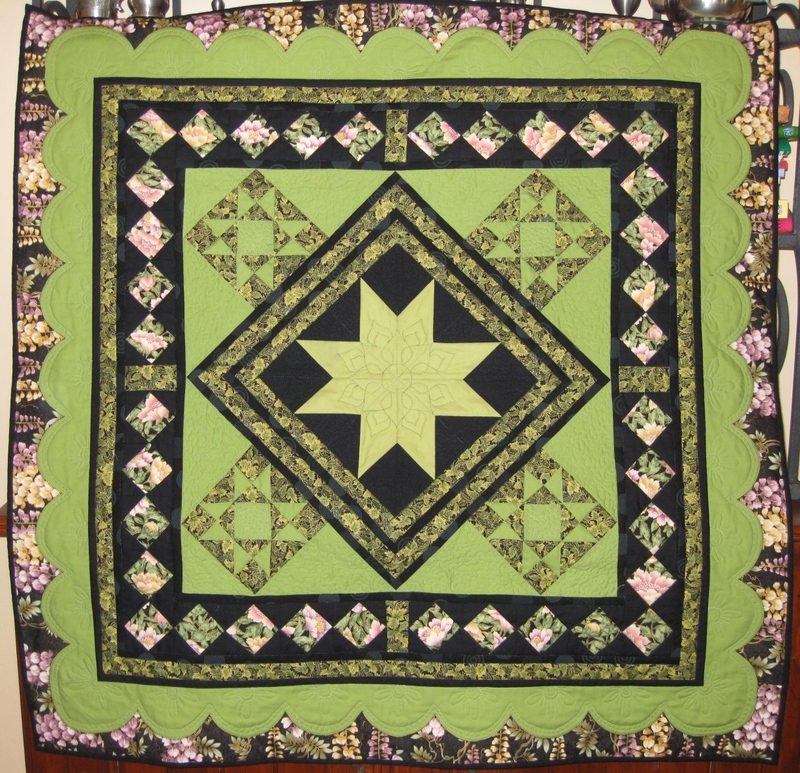 This quilt measures 45" x 45", and can be used as a wall hanging, or table quilt. Denise your quilting is beautiful. It is so nice to meet you. Thank you so much for stopping by. I love geometrical patterns...it looks beatiful! That quilt is gorgeous! 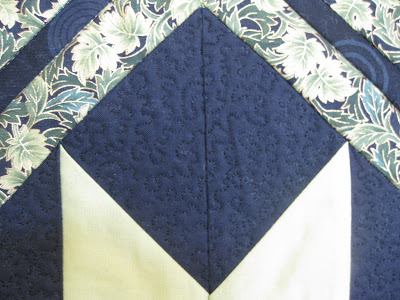 Fantastic quilting too, well done!